Hi my name is Phil Hirst. As a local family business, we have a vested interest in your future. It’s important that we not only offer you the training to become a qualified driving instructor but we also guarantee you the opportunity of a position with our very successful driving school (Learn Driving UK) should you wish to accept it. Alternatively, you may wish to launch your own business and be completely independent, the choice is yours. Many people continue dreaming of changing their career and improving their lifestyle until it’s too late, and then find the opportunity has passed them by. Your opportunity is right now. The chance to be in control of your future and choose the days and hours you work is only a dream for most people – but it needn’t be. We have been successfully training driving instructors since 1995 (over 600) and instructor trainers since 2002 (over 200). 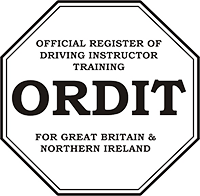 We employ experienced ORDIT trainers with excellent track records who are specialists in instructor training. 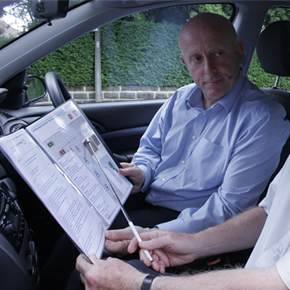 All your one-to-one training is carried out on-the-road in our vehicle – the only place to learn the skills of a driving instructor. We have an industry–leading 95% success rate at Part Three. You get what you’ve paid for! We can arrange staged payments to spread the cost of your training. We include our own nationally-recognised teaching resources with individual advice and reports on your progress. If you choose not to work with Learn Driving UK, we can help you obtain a placement with a local or national school or with setting up your own business. Continuous professional development is available once you’ve qualified to guide you through the early part of your new career. With Learn Driving UK, though self-employed, you can work as part of a team and receive regular professional development. Helen is a co-director and Office Manager of Learn Driving UK. She is passionate about providing a very high level of customer service to our clients and our instructors. If you select Learn Driving UK as the driving school you wish to join, Helen will work with you to help you settle in, meet our growing team and develop gradually into a first-rate Approved Driving Instructor. Becoming an effective and successful ADI Trainer takes time and investment in training as was the case when you qualified to be an ADI. It can be a logical career step upwards without risking your present income and business. Developing an ADI Trainer business alongside your driving school allows you to train your own instructors from the start. The job offers variety, increased income, better working hours and tremendous job satisfaction. It can be the passport to a better, more diverse business. I have been training ADIs for over 22 years. More than 95% of potential instructors (PDIs) who have carried out a full course with me have qualified. I have been putting my skills and experience into training qualified ADIs to become ADI Trainers since 2002. All previous Trainer courses (over 180 of them) have proved to be very successful; many ADI Trainers are now training PDIs for the ADI qualifying exam and many of them have passed the ORDIT Inspection. The course is run in Harrogate on a 1:1 or 2:1 Trainee/Trainer ratio with Phil and lasts 24 hours 1:1 and 30 hours 2:1 spread over 4-5 days. The content of the course can be varied according to your needs. For instance, if you wish to be able to provide a full course service (Parts 1, 2 and 3) to your PDIs, then a course along the lines of the one attached would be suitable. However, if you wish to concentrate solely on Part 3, that too can be arranged. The course will incorporate the changes that will be happening in the industry in the Autumn of 2017. It may be possible to spread the course over a few weeks if taking 5 continuous days out of your work schedule is too much. I have been helping ADIs with their Check Test/Standards Check preparation for almost 20 years. Hundreds of instructors have taken advantage to ensure they are best able to pass their Standards Check and, in many cases, improve their grade. These one-to-one training sessions have always been confidential and acted as both instructor development and a skills refresher. There are three key areas of assessment on the Standards Check: Lesson Planning, Management of Risk and Teaching & Learning Strategies. All good ADIs apply themselves to these areas during every lesson. There are new terms which some ADIs may not be familiar such as pupil reflection, non-discrimination and teaching/learning styles. However, these terms can be explained and then incorporated into driving lessons without resorting to massive financial outlay. A word of caution! There are 17 separate competencies to be assessed by examiners on the Standards Check, grouped under the three assessment areas already mentioned. A top score of 3 for each competency gives a maximum score of 51 (3x17). A score of less than 31 will result in a fail. So, a score of 2 out of 3 for each of the 17 competencies amounts to a score of 34 – only 3 marks above the minimum standard to pass! If you are due a Standards Check, or have one booked and would like to discuss training please give me a call. It's been well over a year since I completed the Train the Trainer course with Phil Hirst. What an excellent course it was too! Very informative, and quite taxing. I've got to say, after being an ADI for 10 years, I learnt so much that I have been able to use in my lessons with pupils. My first PDI came along at the start of this year, and using the workbooks and training from Phil, he passed parts 1,2 and 3 first time. I couldn't be happier. He's now got a full diary and is doing extremely well. Still searching for more PDI's, but feeling so much more confident now. With the changes coming up very shortly, I'm now looking to update my skills. Phil will be my first port of call. Massive thanks to you Phil. I had the pleasure to attend a Train the Trainer 5 day course run by Phil Hirst. His reputation preceded him and as I found out, deservedly so too. Many ADI’s maybe under the misunderstanding that they are qualified to instruct the trainee and in part that might be true until they arrive at Part Three! Phil’s twenty years of experience comes to the fore so clearly in the methodical approach he applies as he leads you though his structured course. Easy to understand manuals accompany each step. However poorly you think you are performing when undertaking something new in role play, Phil never makes you feel silly but encourages you into better ways of managing the task in hand. A final assessment on your last day confirms clearly what you have learnt and you go away with all the necessary knowledge and confidence to apply to your first trainee and the realisation that without such a course, your prospective trainees would stand little chance of success let alone a first time pass. Thank you Phil for your excellent tuition. Your wealth of knowledge in how you transfer the necessary skills is second to none and I’d highly recommend anyone looking for such a course to enrol. I learned more in the five days that I spent in car with Phil than on other courses that had lasted a year or more. Phil's teaching style is positive and encouraging and I left the course on the last day with a feeling of accomplishment. I attended Phil's Train the Trainer course in January 2016 having been an ADI for about 11 years. I had done several CPD courses previously, but this one took it to a whole new level. I had to book quite far in advance to get on the course as Phil is booked a long way in advance which just goes to show how popular his courses are. I would definitely recommend choosing one of Phil's training courses to anyone looking to further their personal development, and I'm looking forward to training my first instructors. I have recently qualified as an ADI. My part three training was taken by Phil Hirst. I don't think I would have qualified at my first attempt if it had not been for Phil's expert tuition and knowledge. I would highly recommend anybody considering becoming an ADI to contact Phil. You will not be disappointed with the amount of learning and understanding of the ADI tests you will gain over the weeks you work together. I found Phil's details via his website, which looked much better and more professional than anybody else’s. I chose to contact Phil after reading his customer reviews. Every ADI needs to keep their knowledge and skills up to date and after spending time with Phil, I believe there was nobody better qualified to help further my development. I have spent 3 half days, one to one, in car with Phil updating my teaching skills and preparing for the new Standards Check. Phil is very organised and knowledgeable and soon found any weaknesses I had with my skills, which we worked on with his 'special' role playing. When my Standards Check letter arrived I booked Phil's classroom day in Harrogate, which I found very useful, particularly the group discussion and group tasks. He also showed role play videos of how to conduct each part of a lesson and we were then able to contrast this with how not to do a lesson. When the day of my test finally came, I felt ready and prepared and all the hard work and preparation paid off when I received a good grade A.
I'd recommend Phil's training to anyone who needs to update their skills or prepare for their Standards Check. I can't recommend Phil highly enough, if you want to get on his training course you will have to book well in advance as he is very busy. If you need to ask yourself why this is, you are missing the point. I spent a very enjoyable four days with Phil at the beginning of May, on his train the trainer course. I had heard from other people that it was very intense and hard work, I am not the kind of person to spend money and not get the best for my cash. So I decided to subscribe to Phil's training site to bring me up to speed on what I might expect the training to be like, and also what sort of things he would be looking for. I found the site to be put together very well, and I did pick up some tips from there. Phil kept in touch after the essential contact was made, this made me feel a bit more relaxed with having to travel so far from my area to stay with one of Phil's friends who has a B&B. Not knowing what to expect on the first day, I was pleasantly surprised when the day finished to find I had been in control most of the day. This was confirmed to me by Phil who said I had done very well. Phil is very professional in the way he conducts himself, and the way he runs his training sessions. He will prepare you to train PDI's, and give you all the info you will need to become Ordit registered if this is the road you want to go down. He is very methodical in the way he teaches, and in the way the course is run. I can't recommend Phil highly enough, if you want to get on his training course you will have to book well in advance as he is very busy. If you need to ask yourself why this is, you are missing the point. This was a fantastic week, Phil is great and so calm and easy to spend time with. I would recommend this course to anyone looking to train PDIs as I have learnt so much in such a short space of time. After hearing loads of good reviews from other Blueprint customers regarding the Train the Trainer course with Phil Hirst I decided to go ahead and book. I really enjoyed the course I had met Phil a couple of times at the annual conference and always thought that he was a very approachable guy. The course itself was fantastic, and what struck me the most is how structured it was and the amount of information that was given and crammed into those 5 days. I feel that I now have a good understanding of how I need to be structuring my own training for PDIs and I am really looking forward to getting everything in place to train PDIs. I also learnt a lot about my own ADI teaching style and things that I can do to improve what I am currently doing with my learners. Hi Phil, Thanks again for this, the whole course was absolutely brilliant. I have never been on a course that has been so well structured and where every day the training was structured so well around my needs as the learner. I have been on several courses throughout the years I have been an ADI, but have never learned so much in just one week. Not only do I now have a much clearer idea of how to teach PDIs to become ADIs but I have also learnt some valuable new methods that I can put to use as an ADI in my every day job of teaching learners how to drive. Thanks again, I will be recommending this course to anyone and everyone who wishes to progress there career along this route. Realising my ambition of running my own business as a driving instructor is a great relief. I knew without a specialist part three trainer I was going to struggle to pass the final exam. A massive thank you to Phil for getting me to the position I am at now. In short, complete, comprehensive, inspiring and very enjoyable. Having finished the Train the Trainer course on January 7th 2015 I can thoroughly recommend it to anyone wanting to train instructors. I found the course well set out taking me and a fellow ADI from knowing very little about training instructors to leaving Phil on the last day full of confidence that we would be able to start training instructors. This was accomplished through Phil’s well-structured course, perfected from years of practice and constant adjustment take into account recent changes. We were coached in all the tools and techniques needed to help trainee instructors attain the standards needed to qualify. This not only made me feel confident enough to train instructors it has helped in improving me as an instructor of 20 years’ experience. Hi Phil it's Peter Norris. Just texting to say thank you for the Standards Check course! Had my Standards Check this afternoon and got a Grade A..... 48/51. Very pleased! Nothing needs changing. Fantastic Standards Check workshop with Phil Hirst on April 7th. very comfortable room. Nothing needs changing, very well paced. I would definitely recommend to anyone wanting to know about the standards check. I have just passed my Standards Check with a grade A. Thanks for the fantastic advice on your course 2 days ago. I cannot thank you enough. Now I know why ADIs come from Scotland and London to attend the days training with you. Thanks Phil.